I recently posted a YouTube video discussing foods and drinks that can decrease muscle soreness. Tart cherry juice was high on the list of foods/drinks that can help your muscles recover after an intense workout so I decided to come up with a quick and easy smoothie recipe to incorporate this tasty juice. 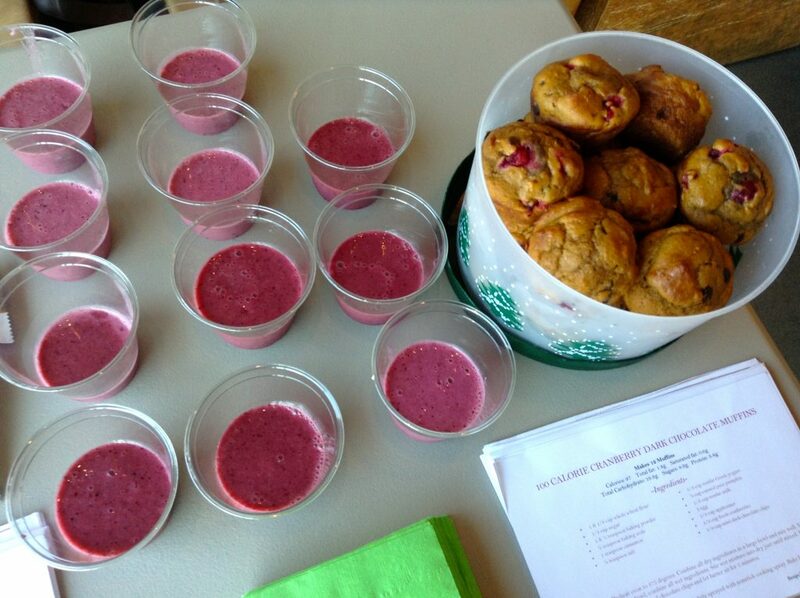 As the dietitian for TREAD fitness, I debuted these smoothies along with Cranberry Dark Chocolate Muffins (recipe coming soon!) as a post workout meal for the 8:30 and 9:45am TREADers last Tuesday. If you’re in the Dallas area and in a rut with your current workouts or just want to try something new and challenging, check them out! Combine all above ingredients in a blender and blend until smooth.